This is necessary for your own health and well being, but also to document the nature and extent of your injuries. If you do not seek prompt medical care, insurance companies will contend you were not really hurt and simply made up your complaints later. Some types of injuries, such as neck injuries, often are not symptomatic for many hours after the accident. As soon as symptoms appear, go to the emergency room or your own doctor for evaluation and treatment. Whenever you see a doctor or other medical provider, tell them exactly what problems you have been having. If you minimize or ignore your problems and make general statements like "I'm doing better" or "I'm doing pretty well," the doctor's records will not accurately reflect the nature and extent of your problems, and the insurance company will not pay your valid damages. What Else Should I Do if I am Injured in an Accident? If you are seriously injured in an accident, you need to find an experienced personal injury attorney to help you. A good attorney will take immediate steps to preserve evidence, investigate your accident, document your injuries, and begin doing the many other things that are required to present a winning claim. 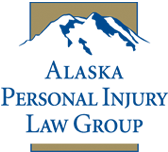 In one case, for example, the Alaska Personal Injury Law Group was hired shortly after a serious traffic accident where the only known witnesses were the two drivers. Our client and the other driver both claimed they had the right of way. We sent an investigator to every business within a mile of the accident scene to ask if any of their employees had seen the accident. This effort identified one individual in a short term job who had been driving a delivery vehicle and had seen the accident. That witness confirmed our client's testimony that he had a green arrow and the defendant necessarily had a "green ball" and should have yielded. This witness turned out to be the key witness in the case. This individual likely would not have been located had the search not occurred shortly after the crash. If you are not seriously injured or you are not sure you are ready to talk with an attorney, there are still some steps you should take to protect yourself. What evidence is important will vary from case to case, but generally you need to preserve all evidence that may be important to your claim. This includes photographs of the accident scene, as well as documentation and preservation of any evidence you find there, such as debris from the vehicles. Do not rely on the police photographs, as they are often incomplete and frequently of poor quality. Have someone also take good quality photographs of your injuries, bruising, swelling, incisions or other wounds. The vehicles should be preserved indefinitely, and at least until well-documented and photographed by a professional investigator. This is important in every crash, but absolutely required if there is any possibility that the accident was caused by, or your injuries were increased by, a defect in the automobile. Be sure to follow whatever instructions your doctors give you. First, it's important for your health. Second, if you fail to do so, the insurance company will claim the reason you are still having problems is that you failed to follow your doctor's advice. The law provides that an injured person has a duty to mitigate his or her damages. Not following your doctor's instructions is one form of failing to mitigate your damages. The person who caused your injuries, or the vehicle they were driving, may or may not be covered by an insurance policy. If they or the police did not give you this information at the accident scene, you need to get it from them. It is also very important to review your own insurance policies. Unless waived in writing, every automobile liability policy issued in Alaska must include Uninsured Motorist (UM) coverage and Underinsured Motorist (UIM) coverage at least equal to the liability limits. If the negligent driver is not insured, you may recover your damages under the UM coverage of your own policy. If the negligent driver is insured, but does not have enough insurance to pay all your damages, you may recover your unpaid damages under the UIM coverage of your own policy. Multiple UM and UIM coverages may sometimes be "stacked" until all of your damages are paid. For example, you may be able to stack the coverages under your automobile policy, your motorcycle policy and your motor home policy. Insurance companies often will not tell you about these additional coverages. Some lawyers miss these coverages. You may need an experienced lawyer to help you recognize and obtain these multiple coverages. If you wait too long, you may lose your right to compensation for your injuries. Claims must either be settled or a lawsuit filed within the statute of limitations. In Alaska, the general rule is that a personal injury claim must be settled or a lawsuit filed within two years of the accident. There are various exceptions to this rule including, for example, when the injured person is a minor or when the person could not have reasonably discovered the injury until a later date. A determination of when the statute of limitations expires depends on the facts of each situation and may be complicated. It is impossible to describe all the rules and their applications here. You should consult an experienced attorney who will analyze the statute of limitations in light of the facts of your case. The bottom line is that your attorney needs time to investigate your claims before the limitations period runs. The sooner you contact an attorney, the better for your claim. You will probably get more compensation by hiring an attorney, even after paying attorney fees, than if you handled the claim yourself. In 1995, one of the largest insurance companies in the United States did a study of its closed claim files, which showed that accident victims represented by attorneys received two or three times more compensation than victims who handled their own claims. Yes, we have actually seen the documents where the insurance company stated this conclusion. That insurance company then started an active program to dissuade accident victims from retaining attorneys. One trick it used was to convince you that the insurance company is really on your side. Make no mistake -- the insurance company wants to save money on claims, not pay it to you. One way the insurance company does this is to pay you less than the actual damages to which you are entitled. The adjuster who sounds so friendly on the phone is a trained professional for whom the typical layperson is no match. Adjusters receive special training in negotiation skills and strategies and spend their work days handling claims. They are supervised by claim managers with even more experience who oversee their work, suggest things to be done to diminish the amount you receive, and who must approve any settlement offer that exceeds the adjuster's modest settlement authority. If you had a case in court, would you feel you could represent yourself against an attorney and be on equal ground? A claims adjuster has a similar advantage over you. Most injured people cannot afford to pay a lawyer on an hourly basis. That is why lawyers generally work on personal injury cases for a contingent fee. That means they work for a set percentage of whatever amount of money they recover for the client. If there is no recovery, the attorney gets no fee. If a contingency fee is agreed to, the lawyer typically is also responsible to advance the costs of your litigation. Some lawyers require their contingent fee clients to advance some of the costs, but the Alaska Personal Injury Law Group always advances the costs on its contingent fee cases. In Alaska, contingent fee agreements must be by written contract. Lawyers you speak to should be willing to give you a copy of their form fee agreement and fully explain it to you. Won't the Insurance Company be Fair to Me? The insurance company certainly wants you to think so, but don't allow yourself to be fooled. The insurance claims system is like our legal system -- it is adversarial. The insurance company of the driver who hurt you is your adversary and, unfortunately, this is true even of your own insurance company. It wants to pay you as little as possible. You cannot ever assume the insurance company will be honest and fair with you. There may be additional insurance coverages the insurer does not tell you about. Even if you are constantly on your guard, you will be outmatched. Under the law of Alaska, your own insurance company is not supposed to treat you like an adversary. If the insurance company followed the Alaska claims regulations and statutes, it would tell you about all of the coverages that might entitle you to payment; fairly and objectively evaluate your claim; promptly pay the undisputed amount of your claim; and otherwise fulfill their duty of good faith and fair dealing. Unfortunately, in our experience, that seldom happens. We have handled many cases where an insurance company concealed coverages and defrauded its own insureds. In every one of those cases, the insured had been represented by a lawyer who did not realize he and his client were being defrauded. Not every lawyer who represents injured persons understands these coverages. You need an attorney who truly understands all the coverages to which you may be entitled and the tricks insurance companies often pull to avoid paying what they owe you under the policy you purchased. At the present time, the earliest that the Alaska Court System will schedule a trial after the filing of the complaint is generally a year. In complex cases involving many parties, extensive discovery disputes, and numerous motions, it may take considerably longer to get to trial. It is important to hire an attorney that has the capacity to see a case through all its potential phases including investigation, discovery, trial preparation, trial and appeal. The attorneys at the Alaska Personal Injury Law Group make every effort to get their cases tried promptly, consistent with the need to obtain all relevant evidence and fully present the case to the jury. They also have the resources and commitment to see a case to a successful conclusion no matter how long that takes.